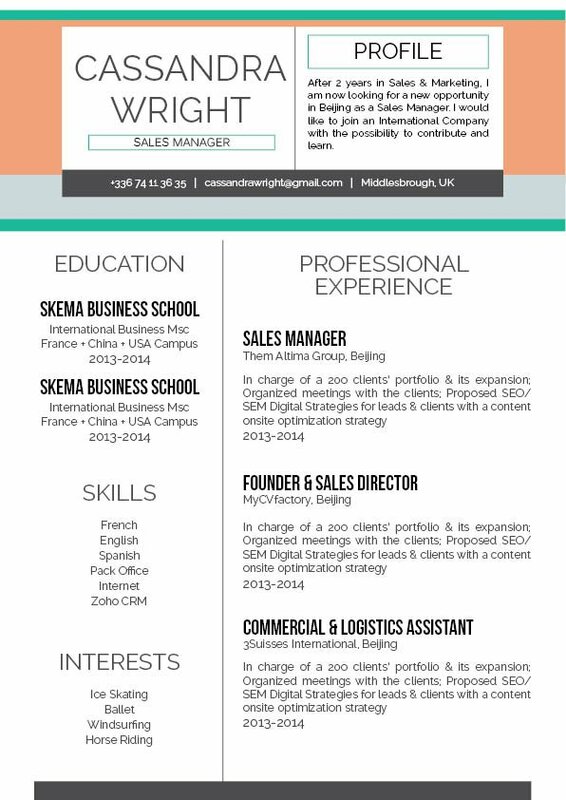 Very flashy, very original resume! CV template to download "Lucky"
The Lucky Resume does and excellent job in presenting all the key information! 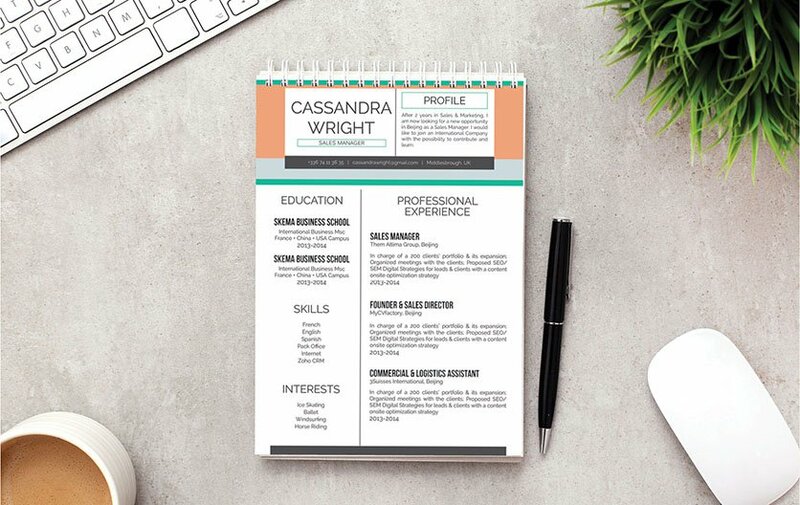 This resume template features a perfect choice of colors, shapes, and texts that give you an eye-catching resume design that is perfect for any job type. Applicants that have a solid set of skills and professional experience will greatly benefit from this resume as all the key content are clearly presented to your potential employer, which is sure to increase your chances of landing that job! Make its lay out clear and comprehensive. In-coming resumes are typically reviewed for just 10-30 seconds--it doesn't get fully read the first time through! So it's important that you present all your qualifications in a well-organized lay out. Use professional fonts like Seriff or Calibri, font sizes should only be limited to 10-12, and use italic/bold font faces to help guide the reader's eyes along your resume. Graphics will give emphasis on the key parts within your CV. And lastly, the use of headings and subheadings give your resume a logical format to follow.